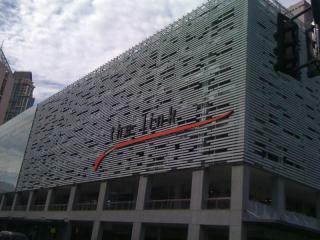 The Link carpark was built alongside Greenbelt, one of the most famous shopping centres in Manila. It is located at Ayala Centre in Makati, the business heart of the city and is surrounded by shopping centres, five star hotels and luxury apartment buildings. Greenbeltopened in the 1980s and it is one of Ayala Corporation's flagship projects. The mall offers a mix of high-end retail shops, restaurants, amenities, leisure and entertainment. Currently, the mall has five sections, three indoor buildings and two are open-air shopping areas. The most recent addition, Greenbelt 5, opened in 2007. Makati Development Corporation chose Radcon because of its excellent track record on projects such as the rooftops of the University of the Philippines and Cebu Metro Water. After a car park in Perth, Australia was protected with Radcon #7® a representative of the client walked around the car-park dropping motor oil in different areas. He later mentioned how surprised he was when he discovered the oil could be wiped off some time later without any residual stain. Subsequent to that he wrote the letter to Radcrete, see the following testimonial.